Santa Fe Stoneworks crafts its one-of-a-kind knives in Santa Fe, New Mexico. Because of the unique blend of materials, no two knives are exactly the same. The tusks are found in the depths of the North Sea in northern Europe. Due to the mineralization over thousands of years, the tusks take on tan, brown, and blue hues. Yet the handle isn’t the only flashy part about this knife. 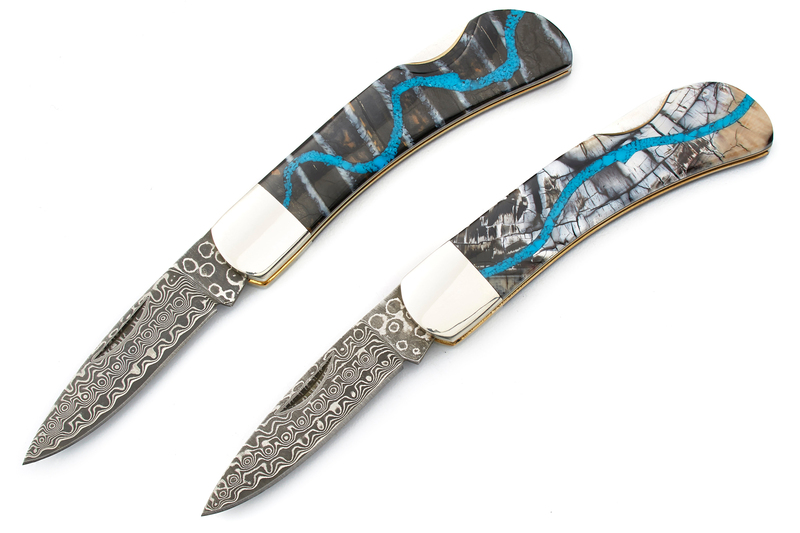 Santa Fe Stoneworks makes it even more dramatic with Damascus steel, known for its strength, edge holding, and wavy look. The core is made of VG-10 steel, with 16 layers of Damascus steel on each side of this rust-free blade. The massive discounts, about 40 percent, are available in White Mammoth Tusk and Black Mammoth Tusk, as shown in left and right above, respectively.